With its historic villages, popular coastal resorts and glorious countryside, its little surprise so many choose to live in the exceptional county of East Sussex. When you add in the excellent transport links it has to London, then the popularity of the county is even easier to understand. Every year along its coastal towns such as Brighton, Eastbourne and Hastings, the beaches are packed as residents and tourists soak up some of the 1,750 hours of sunshine East Sussex has each year. Although East Sussex has a relatively high number of detached properties, most property sales in the county in recent years have been flats with detached properties selling, on average, for double the price apartments sold at. The prices in East Sussex are around the same as those you would find in Kent. Nevertheless, this is still cheaper than West Sussex and Surrey. The area around St Leonards-on-Sea commanded the highest prices of any property sales in the county. 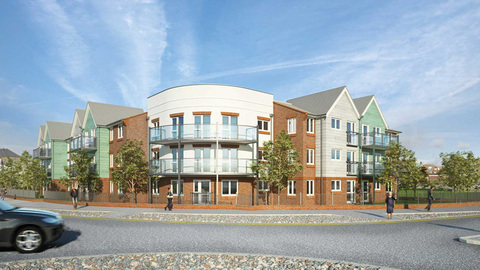 For new homes, studio apartments can be found right across the coast for good prices in places such as Eastbourne. Hastings is another town where there are some surprisingly cheaper new houses on offer. What you'll also find about East Sussex is the wide variety of housebuilders active in the area which makes for a good choice of styles in terms of new home design. In locations such as Hailsham, Westham and Bexhill-on-Sea, you'll also find some excellent value properties on offer made even more affordable through Help to Buy. East Sussex has good connections by road, rail and air. A number of A roads lead to London as well as Kent and West Sussex. There are no motorways in East Sussex which some may see as a good thing but the M25 is still relatively close by to the north. There are frequent and fast rail services from Brighton to London and Gatwick Airport is very convenient for jetting off to different worldwide destinations. East Sussex has many exemplary schools in the county and you should have no worries at all about finding a good school where you live. For further education, there is the University of Brighton which has five campuses including ones in Eastbourne and Hastings. For rental opportunities, Brighton is the main draw but there are also buy-to-let opportunities in other popular seaside towns. In terms of leisure and apart from the well-known attractions of the coast and Brighton in particular, there are always pleasant delights to be found across the county. There are three heritage railway lines, for example, including the well-known Bluebell Railway. East Sussex includes the thriving city of Brighton – strictly speaking part of the unitary authority of Brighton and Hove – is home to the University of Sussex and University of Brighton, so there is a huge student population in the city. East Sussex is home to the South Downs, a beautiful rolling green landscape, dotted with charming villages and farms. New homes in East Sussex are in great demand because they are often within easy striking distance of London and the coast. New developments can be found across the county in Brighton and its suburbs, Peacehaven, Stonecross, Polegate and Hailsham. The new homes range from traditional homes and modern developments to contemporary apartments. The M23 and a number of good-quality A-roads cover the county giving access to London, Gatwick Airport, important towns in neighbouring counties and along the coast. East Sussex is also linked to London by good rail links so you can usually be in London in less than an hour and also Gatwick Airport in minutes.